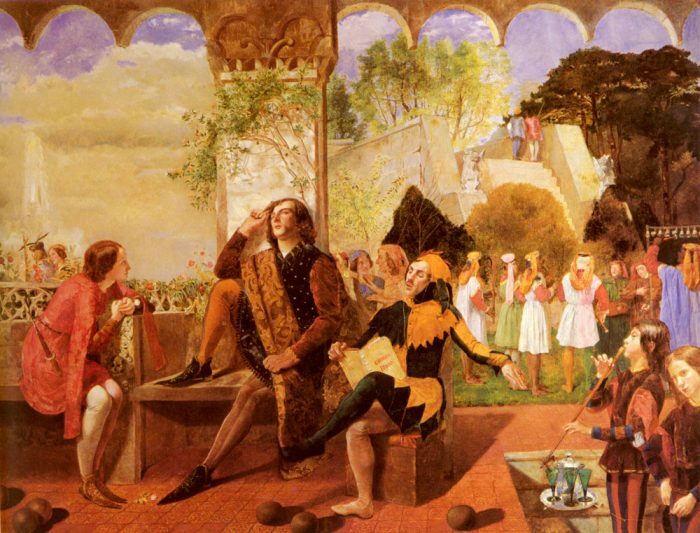 Walter Howell Deverell was in need of a model to portray Viola for his work in progress, Twelfth Night. It was Elizabeth Siddal who struck his eye while she worked in Mrs. Tozer’s hat shop, and thus a Pre-Raphaelite legend was born. Twelfth Night, or What You Will is one of Shakespeare’s comedies. 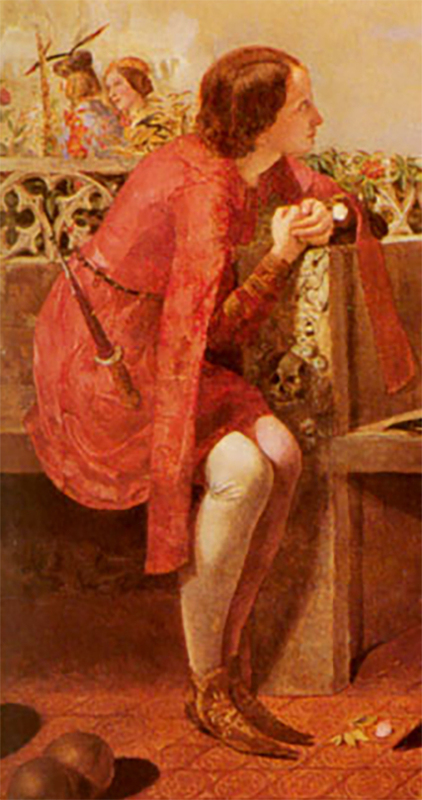 The story is said to have come from a novelette written early in the 16th century. A brother and sister, twins, are shipwrecked and lose contact. Viola, dressed like her brother, becomes page to the Duke Orsino. The duke was in love with Olivia, and, as the lady looks coldly upon his suit, he sent Viola (as his page) to advance it. But the willful Olivia, instead of melting towards the duke, falls in love with the beautiful page. Sebastian, the twin brother of Viola, was attacked in a street brawl before Olivia, who thinks Sebastian is the page and invites him in. It is a delightful tale of mistaken identity that results in the marriage of Sebastian and Olivia and of the duke to Viola. You may be familiar with the 1996 film version of Twelfth Night starring Helena Bonham Carter. The 21st Century Stunner has three gorgeous posts of screencaps from the film that are well worth the visit! Twelfth Night, Twelfth Night Part II, Twelfth Night Part 3. Interestingly, Lizzie’s future husband can also be seen in Twelfth Night. 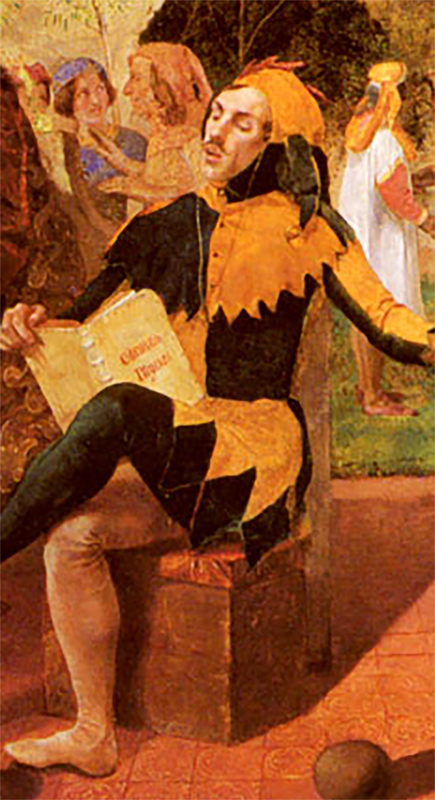 Deverell used Dante Gabriel Rossetti as the model for Feste, the fool.